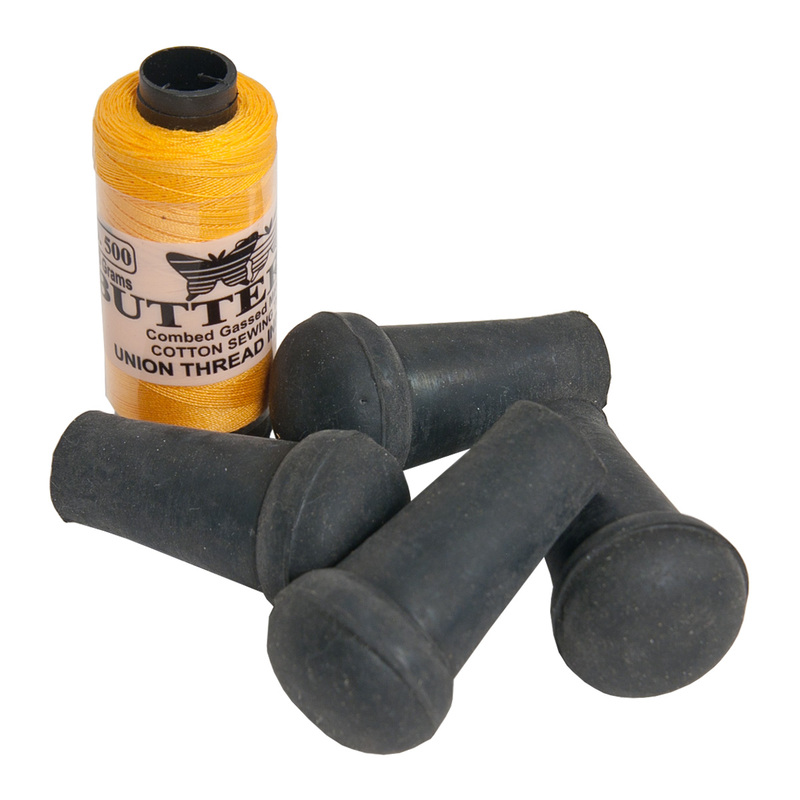 Roosebeck Bagpipe Rubber Stoppers Full Size 4 Pack. Set of stoppers for full sized bagpipes. Stoppers are used when Playing The Goose. That is, when a student makes the jump from the practice chanter to playing the pipe chanter with the bag. The stoppers are inserted in each of the open drone stocks. The stopped off bag with pipe chanter looks like a goose when filled with air. This way the student can build up their lung capacity slowly. As the student becomes ready they can remove one stopper and insert one drone. Don't be in a hurry to add drones. It takes a lot of air to keep all the drones and the chanter playing. If you rush it you might get light headed. And fall over; and there are already enough piper jokes out there. Stoppers are also used to close off the drone stocks and the chanter stock when seasoning a bag.